Direct mail is a type of direct marketing in which businesses send letters, postcards, or other promotional materials to past, current or potential customers, or clients. Direct mail campaigns may be targeted to either a consumer or business or both. In many cases, the mailing is directed to a target demographic (i.e. home owners) or geographic market (i.e. a specific neighborhood). In most cases, it's mass or bulk mailing, but you can send direct mail in smaller quantities as well. Effective at getting a response if well-written and speaks directly to your target market. Bulk mailing costs less than regular mail. 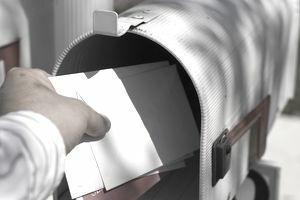 Many consumers throw direct mail items away as "junk mail" without reading them. Response rates are often lower than other direct marketing tactics. Costly especially if the mailing doesn't lead to results. Catalog of products and services: Let prospects see everything you have to offer by sending them a catalog or list of what you offer. Consider including a coupon (#2) to encourage them to buy. Discounts and specials: Instead of just sending a card or letter introducing your product or service, why not include a special deal such as percentage off for first-time customers. People like a good deal and it's a great way to entice prospects to learn more about your business. Reminders: Depending on your product or service, it can be beneficial to send your clients and customers reminders. For example, if you have a tax preparation business, you might send reminders out in December about deductions to take before the year ends or notice to business owners about getting their W-2s and 1099s out by the end of January. Samples: If it's not cost prohibitive, why not send a send a sample of your product or offer a free sample to anyone who responds to your mailing? People like to receive free items and to test products before buying. Sending them a sample gives them both. Announcements: If you're launching a new product or service, let your existing clients and customers, and prospects know about it. Again, this would be a good time to include a discount to encourage them to check out the new product or service. Newsletter: While email newsletters is the most affordable way to deliver information regularly to your list, print and mail news can be effective as well. Through it you can combine many of the above ideas such as list of products or services, discounts, useful tips, and announcements. Decide on your goal. What do you want people to do when they get your mailing? Order? Call for a consult? Determine the type of mailing you'll send. Postcards are less expensive, but also have limits to how much information you can put on them. At the same time, a postcard might have a better chance of being read than a letter which requires the recipient to open it to see the content. Have your mailing professionally designed and printed. Not just words, but how they are placed on your mailer, and the images you use make a difference about whether a mailing is read. It pays to have it done by someone who knows about direct mail. Contact your local post office about using bulk mail, which is the cheapest way to send direct mail. With that said, a stamped envelope often has a higher open rate than a bulk mail envelope. Do a test run of your mailing. Because it's expensive, you don't want to send your mailing out the entire list if it's not going to deliver results. Sending a smaller test run allows you to see if it succeeds in getting results and the opportunity to tweak it to improve response. Prep your promo for mailing and take to your local post office. Track responses and calculate your ROI to determine if direct mail is an effective marketing strategy in your home business. What is MLM? MLM explained including myths and tips to success.